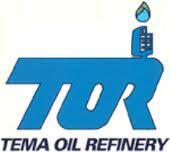 The Tema Oil Refinery (TOR) is seeking strategic partners to help build a greenfield facility to refine 100,000 barrels of oil per day, as against its current capacity of 45,000 barrels. The Chief Executive (CEO) of TOR, Mr Isaac Osei told the GRAPHIC BUSINESS that the investor being sought for was one with industry experience that would add value to the work being done at TOR. He spoke with the paper in Prague, Czech on the sidelines of the Czech-Ghana Business Fair which was the highlight of the first-ever investment promotion mission organised by the Ghana Free Zones Board since it was established in 1995. “At the moment, our capacity is about 45,000 barrels per day and Ghana’s requirements are about 70,000 so we are still short of the requirement of the country. If we get this greenfield operations going, then we will be able to satisfy the entire country and at the same time have excess for support,” he said. The TOR CEO said in order to position Ghana as the petroleum hub in the sub-region, there was the need to put proper infrastructure in place by attracting the right investors to do this. “Because we have an obvious advantage in terms of location, we are asking for people who can partner us to build pipelines all the way to the North. If Takoradi is supposed to be the hub, then we have to prepare and this is the time we have to be looking out for this kind of investments,” he said. Mr Osei said the company had already spent a lot of money to rehabilitate and maintain their plants because there had been no maintenance since 2009. “There are some equipment you have to rehabilitate or bring in new ones. There is a lean time to buy and bring the equipment from Europe and that means TOR will not be able to produce until January,” he explained. As part of the maintenance process, TOR would start building a new water treatment plant instead of spilling the chemicals into the drains. “We are going to do this as a safety measure not just for our staff but for the public as well and we are looking for partners in that regard,” he said. TOR, he said would also try to secure the facility to prevent people from crossing their pipelines, rehabilitate their storage tanks to enable the company to rake in more revenue and also get some fire fighting equipment at the facility. The state refinery has been characterised with poor financial performance every year, which the new CEO alluded to. He said the company was in arrears when the new management took office in January and that steps were being taken to return it to profitability. “The financial performance has been very poor. When we took office at the end of January, we were in arrears and TOR’s last audited account was 2012. We have just finished auditing the 2013 and 2014 accounts and KPMG has signed them off and we are on the 2015 report. “We will have an extra ordinary annual general meeting (AGM) where we will have the Ministry of Finance and Ministry of Energy deliberating on the future. To turn things around, it will take another three to four years to do that. Once we start, we are going to have a facility that would run for two years and l want to ensure that everything is in place before we start,” he said. As a means to generate income, TOR he said would install flow meters to know what was coming in and what was being taken out , to help rake in the accurate revenue. “The gantry or loading bay should generate the income to pay for it in the medium term. TOR has a lot of profit centers and we must think of them as such so that they generate the necessary revenue, ” he explained.